Age range recommendation: 11 and up. This is not a book I came across during some aimless shelf browsing. I read The Book Smugglers’ review a while ago and ordered it immediately. (Local bookstores will order Canadian YA-Ballads about modern mythical creatures if you ask them nicely.) I have a lot of faith in those ladies’ reviews; even if I don’t form the same opinions in my own reading, they highlight some real treasures I might otherwise neglect. The hardcover languished in a pile at my childhood home for months, though, until it finally struck me as the perfect epic-but-fun pastime for the train ride to the city. Ana’s review goes into better depth than this in analyzing the story and characters, so do give it a read. 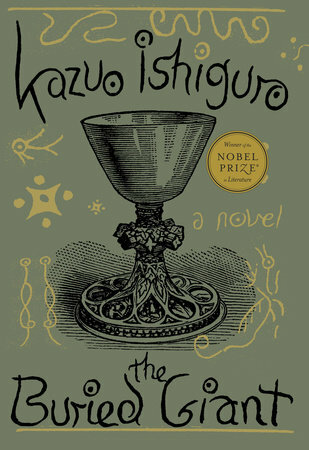 While I’m not equally as enamored with the book, I did find it to be refreshingly unique, so thanks to them for bringing E.K. Johnston’s work to my attention. In brief, the story is told by Siobhan, a fairly-average high school student living in a small, rural Canadian town. Her town didn’t have a dragon slayer – they tend to hang around the big cities where there are more carbon emissions, and therefore more dragons, so the pay and publicity are better. When Lottie Thorskard and her family move to town, people can’t stop talking about the famous retired dragon slayer and her legacy. It’s a family business, so while her brother Aodhan defends farms and small businesses from fiery doom, Lottie trains her nephew Owen to take up the sword of duty. Siobhan trains Owen in Algebra, which is less epic but also necessary, and he’s way worse at math than he is at stabbing a dragon in exactly the right place to avoid toxic death-spillage. When the Thorskgards learn that Siobhan is a talented musician, they decide to bring back the old Bard traditions from the olden days of dragon slaying, when a tale well-told and just the right song could turn a slayer’s deeds from action into legend. So begins a friendship and partnership between Owen and Siobhan that will give them strength to face the whirlwind of high school and, hopefully, the dangers of ravenous monsters. They need to get heroic fast, too, because the dragons are getting bolder, and one Thorskard isn’t going to be enough to defend the people of Trondheim. A noble tradition of millenia is getting shaken up with the modern times, and Siobhan might have to do more than write songs about it. – The narrative style is framed in the ballad format that Siobhan is learning as she stumbles through the motions of becoming Owen’s bard. I love the old sagas and oral histories, though they can get dry and plodding sometimes, so even the use of “Listen!” to begin a tale gave me a nerdy thrill. (For curious nerds: an article on how we may have misinterpreted the “hwæt!” as “listen!” in Beowulf.) Siobhan’s talent is music composition, not storytelling, so her conversational prose interspersed with dramatic retellings was appropriately awkward until she improved with practice. The use of music to convey a mood was a cool touch, too, though I’m not so good at imagining tunes and therefore felt a stronger connection to the old fashioned use of words. Listen!, indeed. – The characters. All of them. And their interactions with each other. Siobhan and Owen, thrown together in the high school hallway, forge such a real friendship through tutoring sessions, near-death experiences, and indeed pizza cooked in a blacksmith’s forge. Lottie Thorskgard basically raises her nephew while training him to be a great dragon slayer like she was before her accident. It’s an unusual family, one I totally want to be a part of: Owen, Lottie, her wife Hannah, Aodhan, and Siobhan watching them all from the kitchen table. (There’s a really sweet scene about how happy Lottie and Hannah get whenever he refers to them as his parents.) Another example of good characterization: the teens’ classmates have hidden depths and defy the stereotypical roles they seem to fill at first. One girl decides to take Siobhan under her wing and teach her how to be socially popular, but her motives are much more interesting than one might expect. Then there’s a fun conspiracy nut and his daughter, who don’t give a crap about anyones’ opinions. These all felt like people I could easily meet in real life, if it weren’t for the fact that they kept talking about dragons. – This isn’t necessarily a comedy, but there was lots of humor in the dialogue and Siobhan’s narration. That’s how I like my epic tales: full of sarcasm and stupid misunderstandings. Nothing lightens the tension of facing off against a creature that wants to eat your car like a well timed joke in a shaking voice. – The bigger plot, the one about politics and geography and the history of dragons in our world, never really captured my full interest. In school and regular conversation, people learn about Oil Watch, and how industrialization has made the dragon problem even worse, but even though the stakes were high (whole cities get abandoned, and the outcomes of wars have hinged on dragon territories) the tension wasn’t nearly so compelling as the smaller personal story taking place amongst the residents of Trondheim. The characters and conversation were easily enough to keep me entertained while I read, but I didn’t get overly concerned about what might happen next, so this wasn’t one of those books that kept me in its thrall whenever I put it down. – The dragons themselves weren’t as cool as they could have been. We get to learn about the different types and what makes them fearsome, but they just seemed like a general plague of beasts for the most part. This didn’t detract from the story at all, I just really like my dragons and would have happily witnessed some more prolonged interactions with them. -There were these historical interludes in which famous badasses from history were entwined with Johnston’s new dragon mythology. Despite the creativity, these incidents seemed a little gratuitous to me. I see how they could serve to guide the legendary style of Siobhan’s ballad-telling, but I was jarred out of the story whenever I had to stop and puzzle out how figures such as Dracula and Abelard might get re-written as dragon slayers. – A kind of nerdy main character who is unapologetic about her talents, unsure what she wants from her future, fond of her family, and honest with her friends. Siobhan is a wonderfully real narrator, one who I think lots of teenage readers could like and admire. The other characters are also flawed and good-hearted; you love them even when you want to give them a shake. It would be so excellent if we could all emulate this, if we could remember to embrace our insecurities and admit that we’re still learning. – Music geekery for all those band nerds who want better imaginary soundtracks to their every day (and epic) battles. – A friendship between genders that isn’t romantic! (I may get spoiler-y here if you’re the sort of reader who cares deeply about a will-they-won’t-they plotline. But that’s so not the point of this book) Owen and Siobhan are able to look frankly at their relationship, wonder if any feelings are getting in the way, recognize that no there isn’t any sexual turmoil and move on to killing scaly beasts! Will they get together in the future? Who knows or cares! Owen might date one of the many girls who like their men like they like their coffee: wielding a broadsword. (Or am I the only one with that morning routine?) Siobhan might date, or she might be asexual, or she might get burned to a crisp. Whatever. I’m just happy that the lack of teen romantic drama in this book never once took away from the emotional resonance of the characters’ relationships. Friendship, family, and long-standing love can be just as motivating, and it’s about time we saw more of those loves take center stage. 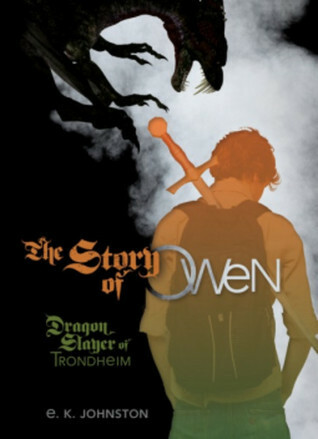 When a younger teen expressed trepidation about trying out some older YA because of all the gross romantic subjects, I was very happy to suggest The Story Of Owen. Even though the plot and draconian action failed to hold me riveted, I liked taking a peep into a dragon-infested world for a while. Siobhan, Owen, Lottie, and all the good people of Trondheim made up such a welcoming community, I could easily understand the Thorskard’s desire to protect them. Centuries and an ocean away from ye olde peasants and great wyrms of yore, the bravery and sacrifice of dragon slayers still remains the stuff of stories. Now they just have to do history homework on the side.